Too many children are dying in car accidents in the US because they are not adequately restrained. Improper restraint is the number one cause of children fatalities in car accidents in the US. 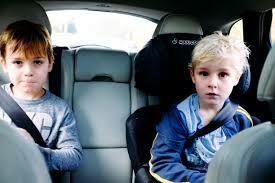 A recent study published in The Journal of Pediatrics found that if the percentage of children unrestrained or inappropriately restrained while riding in a car in the US decreased from the actual estimated figure of 20% to 10%, 232 children deaths would be averted every year. The study by researchers from Brigham and Women’s Hospital in Boston, MA, the Children’s Medical Center of Dallas and the Department of Surgery, University of Texas Southwestern Medical Center in Dallas, TX, looks at car accident data by States from 2010 to 2014. Important variations were found from state to state. Globally 52% of the children who died in a car accident in the US camme from the South, 21% from the West, 19% from the Midwest and 7.4% from the Northeast. While looking at factors that may increase the risk of children deaths in car accidents, the researchers found that in New Hampshire only 2% of children who died in a car accident were improperly restrained while in Mississipi 38% of the children who died in a car crash were improrely restrained. The type of roads as well as the absence of legislation in regards to red light cameras are also important factors in children mortality in car crashes. Rural roads are the type of roads where children have the highest risk of being killed in a car accidents. Several factors such as poorer road quality, limited lighting or visibility, lesser enforcement of speed or long distances to trauma centers may explain why more children are dying on the road in rural areas. Researchers also found an increased risk of pediatric mortality in car accidents in States that didn’t have legislation for red light cameras.